Paul was very quick to respond to my message and went out of his way to get my van sorted as soon as possible. He was very thorough in investigating the problem and did so very swiftly. He gave me honest advice about future work that needed doing without pushing me to do so and recommended another mechanic who was familiar with old VW's. Couldn't recommend him highly enough. Thanks again lovely, very much appreciated. Paul has worked on several of our vehicles over the years and we always have him back when required. He is friendly, professional, and honest. What makes him stand out the most to us is his thoroughness. He knows exactly how to diagnose a fault correctly and offers great advice on the best way forward. He remains our first stop for vehicle issues as we know we are in good hands. Today when I was travelling up the A38 my tyre had started to lose air and become ultimately flat. As I noticed a change in the sound of the tyre on the road. I was quite panicked as I had to be somewhere fairly quick so I pulled into the nearest garage and asked for help. Paul didn't work for the garage but was really quick to help me and pumped the tyre back up with his own equipment and advised me what I should do following this. I think it's great that he helped me out without needing to it just goes to show what a genuine gentleman he is and that his customer service skills are amazing. It was literally like the weight of the world had been lifted because of the nature of my visit to Plymouth today. Kept my car on the road for another year even though another garage couldn't work out the fault. The chap Paul was very friendly and came back a second time at no further cost. Also was the cheapest initial diagnostic price I came across. Paul was extremely helpful and friendly. Understood the problems with my sister in laws car and fixed the problem in 2 hours. Very professional and honest. Would recommend this service to everyone and reasonably priced too! he did an excellent job and was very reliable and a great help. Would use again! Paul came to us and very quickly diagnosed an electrical fault that was disabling the car randomly. He had the part out in no time and re-soldered all the dry points on the circuit board. Good as new! I'm an ex-mechanic and I was well impressed. Saved me about a day's work. Paul has looked after my cars for a few years now and has always been very courteous and caring. 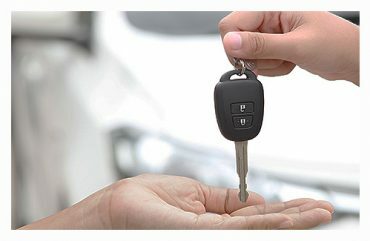 Paul has always provided honest and straightforward work and advice regarding my car and has diagnosed difficult problems and rectified them without fuss and excessive cost. I would recommend Paul and his work to anyone. Very reliable, considerate, friendly mechanic. Highly recommended. Thank you Paul. Paul was fantastic, he went above and beyond to carry out the repair work on our Kia Sportage, he put in a lot more hours than quoted online. Not only did he complete the necessary work, he noticed a couple of minor defects and fixed them without hesitation. I fully recommend Paul and will definitely be using him in the future. 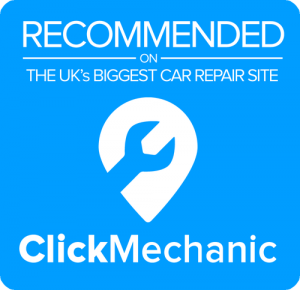 Paul worked hard to fix my Ford Ka and was not only professional, reliable and kept within budget. I would recommend Paul to anyone as great service is key when dealing with public. Thank you again. Paul was very friendly and knowledgeable. A very nice chap. Paul was very friendly and did the job quickly and dilgently, he even pointed out a couple of points to keep an eye for the coming months. Very pleased with the work. He was on time and very good very nice young man, he also gave me info on my car I did not know about my air con, many thanks for that. Paul was helpful, expert, and went above and beyond to ensure my car was roadworthy for travel to work the next day. I cannot praise him highly enough. Friendly professional service and advice. Recommended.